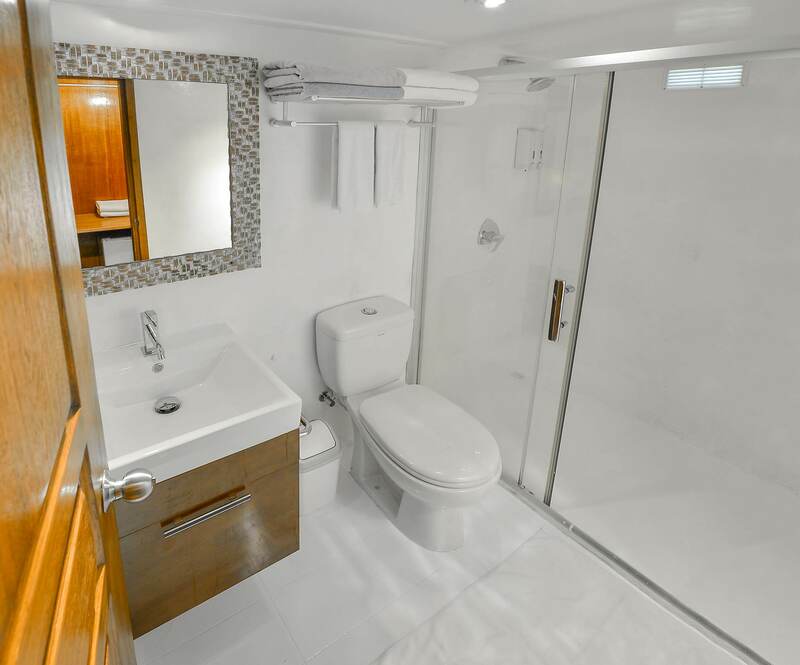 The Carpe Diem Boat Charter is a luxury option that caters for up to 20 people in 10 air-conditioned suites with private bathroom. 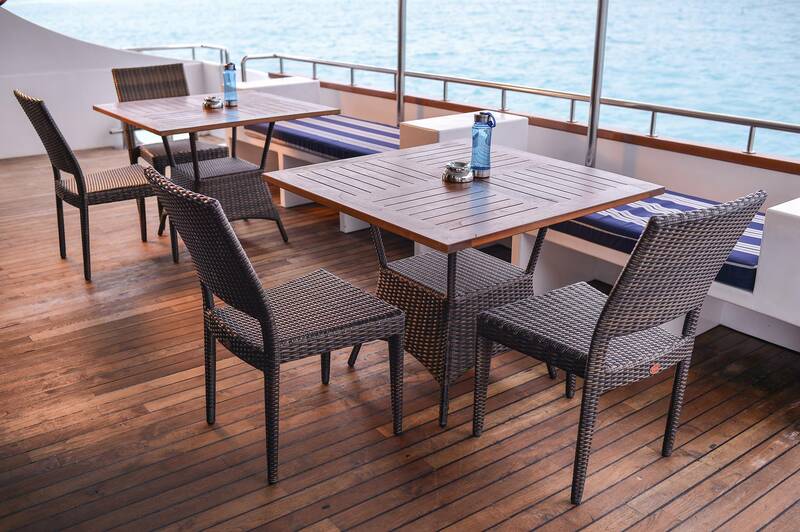 The experienced crew pampers you with buffet meals and will make sure you can relax and enjoy the deck, library or spacious lounge with entertainment area. On surfing trips they take maximum 12 surfers. Depending on the season there is a fixed schedule of 7 or 10 nights and take only groups or also individual bookings. If you book a dive trip on the Carpe Diem Boat Charter they will take you to the most beautiful spots and guide you on 3 dives a day. 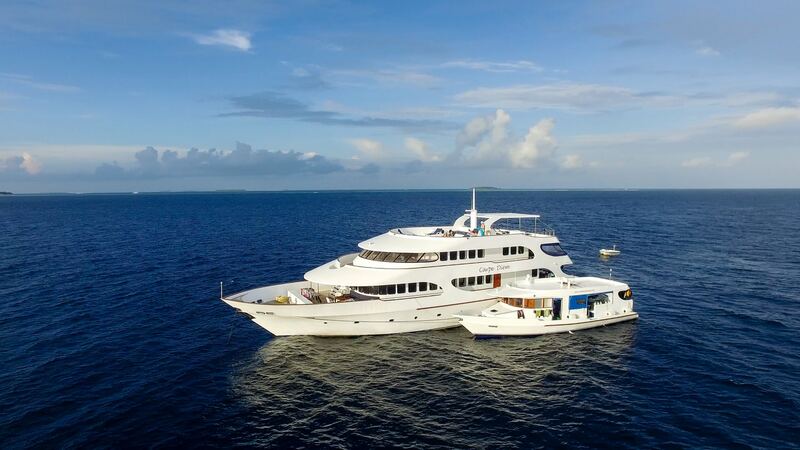 The Carpe Diem Boat Charter is a luxury option for your surfing or diving trip. 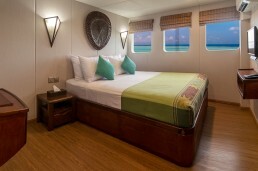 You can cruise in style and will be pampered by the crew, while scuba diving or surfing 3 to 4 times a day. We will show you everything the Maldives has to offer. So you enjoy the sunsets, the beautiful waves, the underwater fauna and flora and the tropical islands. 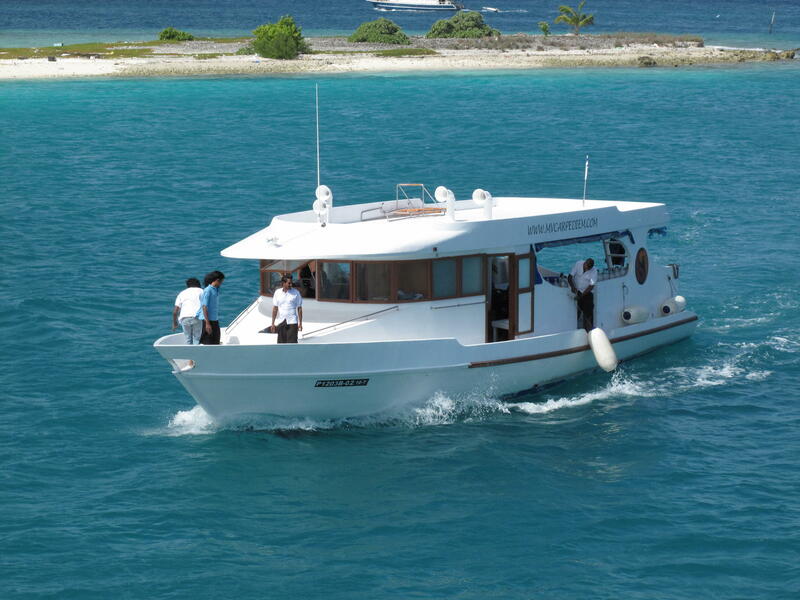 The MV Carpe Diem boat is 35 meters long and accompanied by a modern dhoni and a small speed boat. We cater for individuals and groups that want to go diving, surfing or enjoy a custom cruise. The Carpe Diem boat charter has recently been refurbished and is revised after every season. 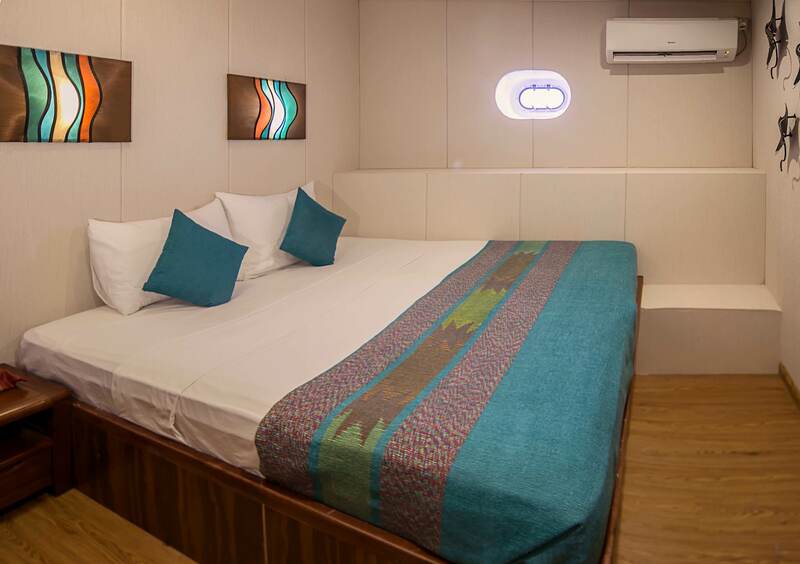 The lower deck provides 6 standard cabins, the engine room and crew quarters. 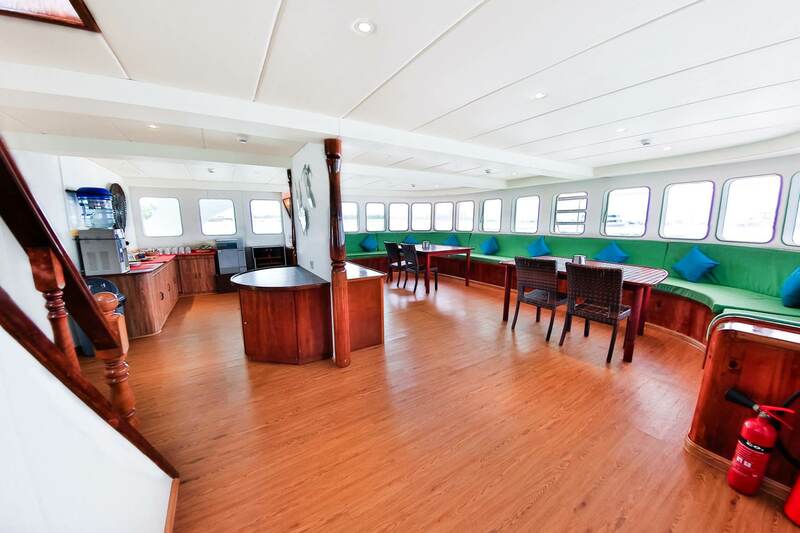 On the main deck, you will find the lounge area with coffee and tea corner. In addition, there is an entertainment station with flat screen tv, DVD and MP3 players. 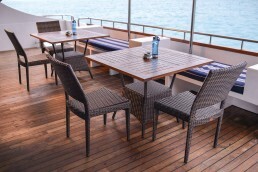 Furthermore, the main deck has 2 double cabins and an open-air social sitting area at the back of the boat. The upper deck comprises the deluxe and suite cabins. It has a spacious C-shape sofa/reading area with a library. 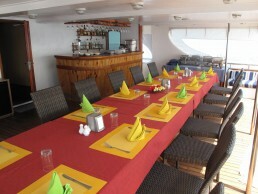 You will enjoy excellent buffet meals, served in the open air dining area. The main bar is located at the back of the boat, offering stunning ocean views. 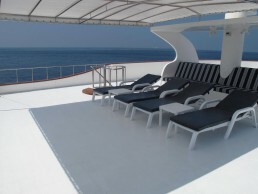 Finally, you can reach the 115 m2 sun deck through the staircase from the dining area. It’s partially shaded and has comfortable lounge chairs to relax and unwind. 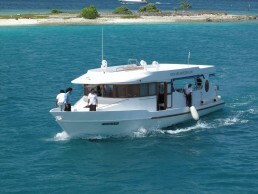 Above all, the Carpe Diem Boat Charter really has everything to give you an unforgettable Maldives experience.